How up to date is it? | First Base Solutions Inc.
Floodplain mapping is available on an “as-is” basis with no routine update schedule. Sections of floodplain mapping will be updated from time to time as needed when major storm events cause flooding that exceed predictions. 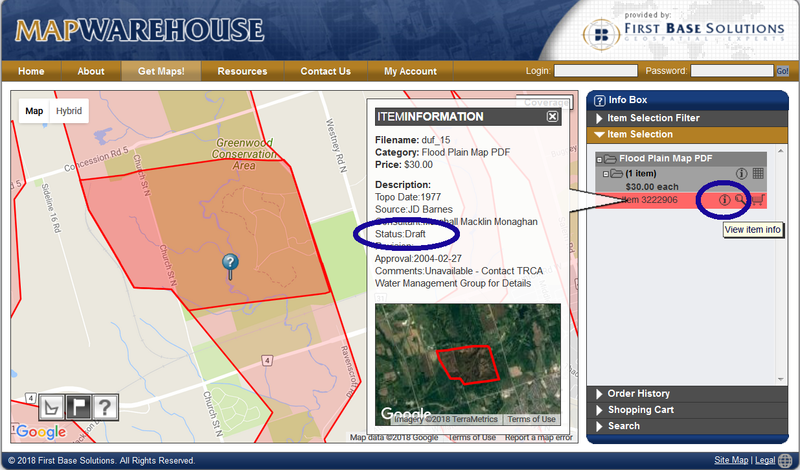 While a section of floodplain is being updated, the map status will be temporarily listed as “DRAFT” in the info on MapWarehouse, and no file will be attached to your purchase. Please contact us for a refund if you purchase a DRAFT status flood plain map.